Los legisladores estatales aprobaron varias leyes importantes entre ellas la que establece mayor control del armas, otra sobre violencia doméstica y también el fin de semana libre de impuestos. 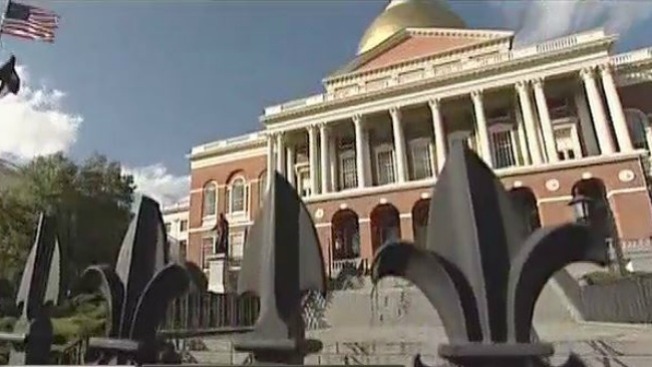 Opponents of a bill that would ban LGBTQ conversion therapy in Massachusetts say they will likely challenge the measure in court if it becomes law. Massachusetts Family Institute president Andrew Beckwith argues the bill would amount to an unconstitutional restriction on freedom of speech. The organization led several hundred people who visited the Statehouse on Wednesday to call on Republican Gov. Charlie Baker to veto the legislation, which has passed the House and appears to have strong support in the Senate, if it reaches his desk. Bill backers say conversion therapy intended to alter a person's sexual identity has been widely discredited by mental health professionals and can harm children. Beckwith contends a ban would eliminate options for youth struggling with sexual or gender identity and limit options for parents.